With the crisis going on over in Europe, austerity measures going on around the world, and people having to prolong their retirement dreams due to decreased income and terrible market returns, I have been reading a lot of material that focuses on an increasing phenomenon known as “pension envy.” From what I’ve been able to gather, the envy is mostly direct at government employees (at least in Canada) who have guaranteed pensions waiting for them at fairly early ages relative to the average age of retirement in the private sector. While there may be some legitimate beefs with the salaries of government workers going forward, I have to say that this pension envy is seriously misplaced and that there is no reason for it in most cases. While everyone sees teachers, policeman, fireman, and civil retirements hitting the golf courses at 55, they don’t see the hundreds of dollars that automatically came off their paycheques every month in order to fund their pension plans. Personally, I automatically have about 6-7% of my wage taken off my net earnings, and then this amount is immediately matched by my employer (the provincial government). This money is then placed in the control of a 3rd party that handles the investments and distribution of our pension funds. Basically, my union just mandates the common sense that everyone should practice, but most don’t. The vast majority of companies out there today have some sort of “company match” up to a certain percentage when it comes to saving for retirement. Most of these are at the very least 3%, while some climb as high as 15-20%. This means that if you choose to put a certain percentage of your earnings into a retirement account, the company will match your contribution up to a certain overall percentage of your gross or net earnings. This is an absolutely fantastic deal, and should be the core focus of any pension plan if at all possible. I actually wish that as teachers, we had the ability to opt out of our automatic plan, and have self-control over our retirement funds (keeping the generous match of course). I just like having control over my own assets, and I believe I would avoid the common mistakes of either not saving enough, or taking out retirement funds in order to on a consumer binge. These mistakes stop people from realizing a lot of “easy” money. The company match should be one of your very first steps in your financial plan. It doesn’t even matter what you invest it in (well, it does, but that’s another story), by far the most important part is just making it a priority to max out the company match. If money is just a tool, then naturally you should use it where it will do you the most good right? This is usually where it will do you the most good, since your employer is giving you an automatic 100% Return On Investment (ROI)! There is an argument to be made for paying down credit card debt, and high interest consumer debt before contributing to a retirement, but I think any other priority is crazy. Contributing to this plan will give you WAY better long-term returns relative to saving for a down payment on a house, paying off students loans, buying real estate, or even purchasing gold (as opposed to what Glenn Beck might have you believe). I’m not knocking these types of asset classes, I’m just saying that a 100% ROI is unbelievable. Don’t depend on a government pension going forward no matter what country you live in. Currently there are big time problems generating the necessary political will to address the huge financial problems that governments are facing around the world, and while there may be a strong probability there will be something left to help you out in retirement, I wouldn’t want to have to depend on that. Instead, make sure that your nest egg has been nicely growing (preferably using your employer’s money as well as your own) so that any government-supplied money will be a nice little bonus (hello winter in Panama). The Juice Is Worth The Squeeze! Instead of being envious of government people who are only guaranteed these nice pensions because their unions force them to be, take responsibility for your own financial affairs. You should immediately check if your employer offers a company match, and if you are close to maximizing their contribution. If your employer doesn’t offer this benefit, make sure you take this into consideration when comparing overall compensation packages with other potential employers within your sector. Use money as a tool, become a capitalist, and beat those pesky teachers to the golf course while laughing at their meagre retirement package! Well said. Mrs. SPF and I both have government pensions as well (being public servants). We however pay closer to 9% each pay to fund ours. Worth it in the end! Im depending on the government for everything! We are the 99%! Huh rah! hahaha. Somehow, I doubt that… Yes, responsibility is the key. If only more people subscribed to the same motto. Like SPF, we have a similar situation. Both my hubby and I have defined benefit pension plans from work that we contribute to every paycheck. Our employer also matches the contribution. It is a great bonus towards our retirement. Thanks for publishing this, TM – I’ll send you many readers from the UK. Have been having this debate with people over here. I myself, contribute 10% at source, this is matched by my employer and I also pay 7-8% National Insurance (this builds the social security funds in the UK). If you weren’t doing it automatically you would choose to do it anyway right? HAHAHA! Love the one-liner Sam! I wonder what percent the Greatest Generation were in? Oh that’s right, they didn’t stop long enough to protest and find out. I read somewhere yesterday that the Rockefeller family had over 10x the equivalent wealth of Bill Gates today. I thought that was interesting. It’s a great system that encourages us to take responsibility and rewards those that have the foresight to do so! Looking forward to hearing from our cousins on the other side of the pond! Agreed!! TAke responsibility for your own financial well being. 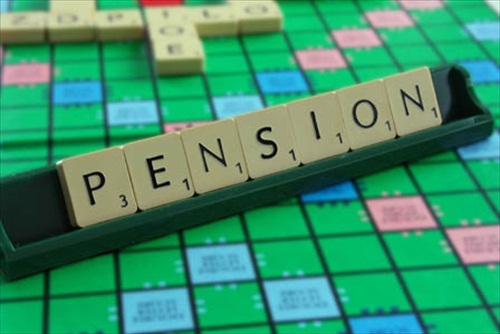 Pensions in this country are rare and getting rarer! It’s been an ongoing argument in the US also. My parents are both retired teachers worrying about where this will all end up. It’s very much become a pro union vs. anti union stance. Of course, like you said many of the anti union folks don’t realize or care that teachers pay into the retirement fund. It would be a good idea that everyone save for their retirement, but alas, it doesn’t happen in the private sector. Good for you that you are saving even if it is mandated. This makes me worry about the long-term health of the one I’m paying into, but the powers-that-be claim it is guaranteed by contract. Yah, I’m the last guy that will usually side with my teacher’s union on most things, but this isn’t even a union issue, this is a basic economics issue. It’s not about pay or compensation. The government matches my contribution, just like most employers do. All my union does is mandate common sense by saying we HAVE to do it (which I don’t agree with), but it’s not like it isn’t my money and basic investment returns that provides the pension for me. Hey if people want to be hedonists and live in the moment and spend every last nickel they have (and often more), then they should have the freedom to do just that! I won’t get mad at them at all. Just as long as they don’t get mad at us “fat cat” teachers who have this magical pension that materialized from no where. In Australia we have compulsory retirement funds that employers have to contribute 9% into. You can also personally contribute money and if you earn less than 60K the government will match dollar for dollar up to $1,500 (on a sliding scale). It isn’t a bad systems, at the very least it helps to ensure people have something to help them live on when they do retire. I actually really like this idea. We have CPP in Canada which is quite similar, but I like the idea of personal responsibility. Government should not have to force us to take care of ourselves! I look at the CPP as a tax, which it essentially is since most of that money is used to pay off current pensioners instead of being put away for my own future. I liked Sam’s quote, but, I don’t know what will happen in the 30-40 years when it’s time to get back what I’ve put in. Just to be a little pedantic ;) , one has to keep in mind that “the hundreds of dollars that automatically came off their paycheques every month in order” did originate from the taxpayers, if we’re talking about public employees, so while it might be “their own money” it has a different qualitative aspect as taxpayers, unlike consumers, cannot say no. Oh, absolutely true IIW. So then the separate issue of how much do teachers and other public employees deserve to make comes into play; however, I’m sure you can agree that public employees have to be compensated to some level right? One would argue that a certain equilibrium must set in between the public and private sectors at some point? From what I’ve read, the CPP is solvent due to our “gently” increasing rates? I’m thinking it will shrink by the time we get there, but I’m fairly certain the percentage being used to fund current pensioners must be fairly minuscule. Although, one could argue that when we take on debt, yet still pay pensioners, it is somewhat of a tax on the younger generations. If more people took advantage of the “free money” that comes with company matches, there would be far less pension envy. Otherwise, there is no solution to determine what’s fair because it breaks down into one person’s opinion against another. We can argue all day over what the role of the public sector should be, but the only objective fact here is that taxation does not reflect people’s true subjective preferences, for if it did there would be no reason to tax. People certainly don’t need to be taxed to buy iPods or whatever. For company matches, 100% agreed! Don’t know why people wouldn’t take advantage of that. They are not that common though; I am pretty lucky to have one at my own company. I would argue that there is a private school system that competes directly with the one offered by the public sector. This indirectly places some limit on wages. If there is a private system that can accomplish education better, then over time more consumers will drift to this system. I don’t know. The public system can outcompete any private system by running at a loss. However I like the competition that comes from the Internet. Never before had so many people had a voice before, or such easy access to information. I hope this can continue and that neither government nor big business clamps down on this freedom. I am in the US, and work for our state government. We have a pension that you become vested in at 5 years (I have been working here for a little over 3). It is mandatory, and it is 6.45% of our paychecks with a matching 6.45% from our employer. I checked just last week to see how much I would receive each month when I retired if I only worked to 5 years, and the estimate is $350. And the real beauty is that anyone could set up this plan. If you’re not saving at least 6.5% (really 10%), then you need to re-evaluate a few things. One of my goals in the new year is to save 35% of my net income (in addition to by DPP).